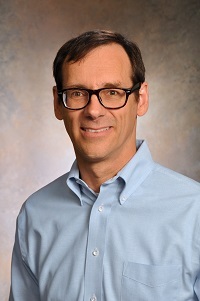 Dr. Abraham Palmer presented the talk, “Using genome wide association studies in mice, rats and humans to gain molecular insights into behavioral and physiological traits” at the Progress in the Science of Medicine (PRISM) lecture series on April 8th. The paper “Multidimensional latent structure of risk-related phenotypes in healthy young adults” has been accepted for publication in Experimental and Clinical Psychopharmacology. Dr. Palmer was a co-author on this paper. Dr. Palmer visited 23andMe on February 20, 2019, and gave talk titled “Genetic approaches to understanding the biological basis of behavior”. New R01 titled “Genetic Modulators of Glaucoma” has been awarded to Dr. Monica Jablonsky from UTHSC. Manuscript “Electronic health records are the next frontier for the genetics of substance use disorders” by Sandra Sanchez-Roige and Abraham Palmer has been accepted to the journal Trends in Genetics.